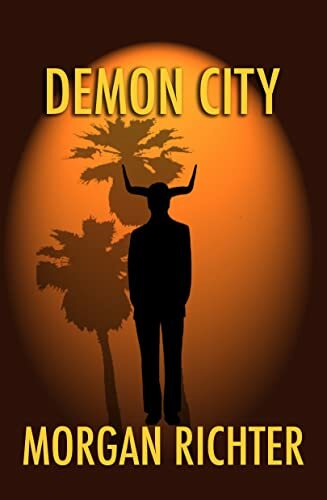 In her follow-up to WRONG CITY, Morgan Richter once again takes readers inside a treacherous, alluring version of Los Angeles, where enigmatic supernatural forces manipulate the oblivious inhabitants from behind the scenes. Felix Dockweiler—former model, current entertainment reporter, and the star of such films as "Frat Party USA"—yearns for fame at any cost. A callow young Omaha native struggling to make an impact in image-obsessed, celebrity-driven Hollywood, Felix torments, exhausts, and starves himself while chasing after a goal that always lies just out of his grasp. Felix’s fragile status quo is disrupted when a seductive yet violent pair of fire demons blaze into town and rack up a body count while hunting down his troubled younger brother, Michael. As the temperature rises and out-of-control wildfires threaten the city, Felix’s own search for Michael takes him from Hollywood parties to Skid Row flophouses and all points in between. To save Michael, Felix pursues a dangerous alliance with Sparky Mother, a charismatic and unfathomably powerful entertainment mogul with more than a few skeletons in his closet. Meanwhile, Felix’s attempts to secure the job of his dreams begin to look more and more like a negotiation for his mortal soul. This book was gripping. There's no other word for it. It held my attention throughout, although the cast of characters was so large and convoluted, it took me a couple of chapters to figure out who the important ones were. The main character is Felix, an entertainment reporter on a low-rent entertainment news program. His job is part-time, and might be temporary. He has enough to worry about, without having to battle fire demons and hard-to-place supernatural characters like Sparky Mother, who oversees the entire entertainment industry from a strange and run down warehouse in the city. What he sees and experiences in a short period of time should seriously unnerve him, but he somehow comes out the other end stronger, and closer to his brother Michael, whom he saves from demonic kidnappers who want to use him as a portal from their other netherworld, and/or dimension. This is a great supernatural fantasy. I loved it. It's intelligent without the need to check the dictionary for unfamiliar terms, witty without being stupid or low-brow in nature. Altogether a great read. I haven't read the first book of the series, Wrong City, but I would like to. The preview at he end of Demon City is very intriguing.